June has practically left the building! This month was unusually busy so I'm looking forward to July which will hopefully be a bit quieter, given it is currently holidays and all. Despite the chaos I still got quite a bit of posting done on Nana Wintour. 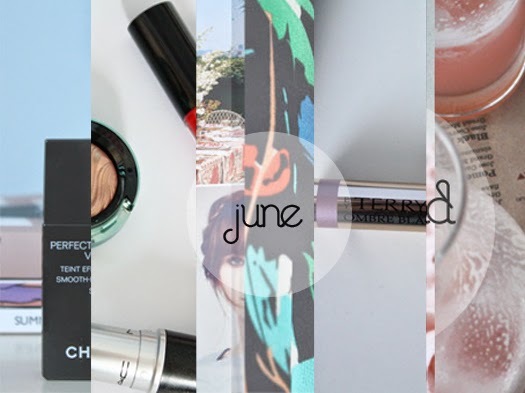 Here's a snippet of what's been happening around these parts during June. If you never want to miss a post you can follow me here on Bloglovin or over on Facebook. CHANEL Perfection Lumiere Velvet Foundation-I can't be bothered putting the proper accents on this title because it's nearly 10pm and nobody got time 'fo that. Anyway, this was my review of my new favourite foundation. If you have combination skin then you're gonna love this one. A Mini Mac Haul-A few little sneaky Mac trips have happened recently. I'm blaming their enticing round of limited edition collections. Those LE numbers may be gone but Peach Blossom certainly isn't. It's such a gorgeous, everyday shade. Anxiety-As the title would suggest this post is quite outside my usual blogging comfort zone. I talked about my experiences with anxiety+panic attacks and what you can do to manage anxiety. If you know someone else with anxiety, there's also some tips for helping them out too. A Blogger Induced Purchase-#annamademedoit. By Terry's Ombre Blackstar in Misty Rock in review. A fantastic eyeshadow crayon if you're feeling spendy or want something unique to wear on your lids. The Extras: Auckland Eats-Looking for somewhere to dine out in Auckland? You're in luck! I've rounded up four of my favourite places for meals, dessert, even cake! I've been loving your posts recently S! Keep up the good work.